Fast Delivery: We usually deliver your e-book to your email immediately after you purchase but sometime it takes up to 6 hours. Unlimited Access: There is no restriction on using our e-book, you can download and store it everywhere, use it anytime on any device. Various e-book formats: You will receive high quality PDF version mainly but if you want, you can request additional versions like mobi version to read on Kindle, epub version to read on Ibooks app. 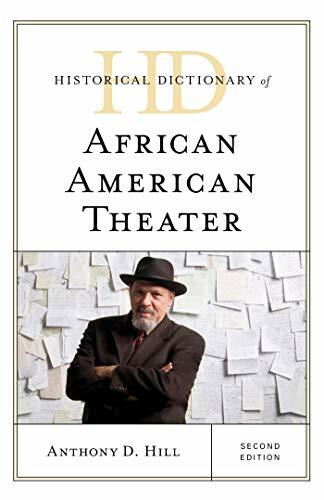 This second edition of Historical Dictionary of African American Theater reflects the rich history and representation of the black aesthetic and the significance of African American theater’s history, fleeting present, and promise to the future. It celebrates nearly 200 years of black theater in the United States and the thousands of black theater artists across the country—identifying representative black theaters, playwrights, plays, actors, directors, and designers and chronicling their contributions to the field from the birth of black theater in 1816 to the present. This second edition of Historical Dictionary of African American Theater, Second Edition contains a chronology, an introduction, appendixes, and an extensive bibliography. The dictionary section has over 700 cross-referenced entries on actors, playwrights, plays, musicals, theatres, -directors, and designers. This book is an excellent resource for students, researchers, and anyone wanting to know and more about African American Theater. Your email address is very important because we will send order notification or anything is related directly to your order so please fill the email address carefully, we recommend you use gmail, yahoo mail, hotmail, aol mail.